A new threat for the Linux platform was first mentioned on August 7th by RSA researchers, where it was dubbed Hand of Thief. 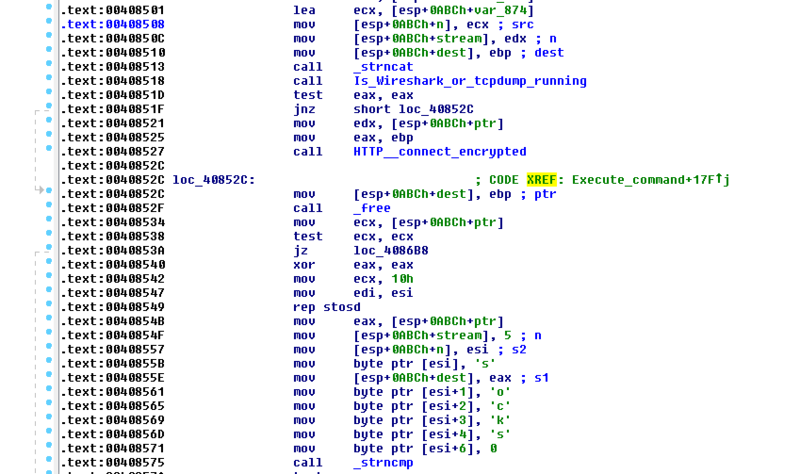 The two main capabilities of this Trojan are form-grabbing of Linux-specific browsers and entering a victim's computer by a back-door. Moreover, it is empowered with features like anti-virtualization and anti-monitoring. 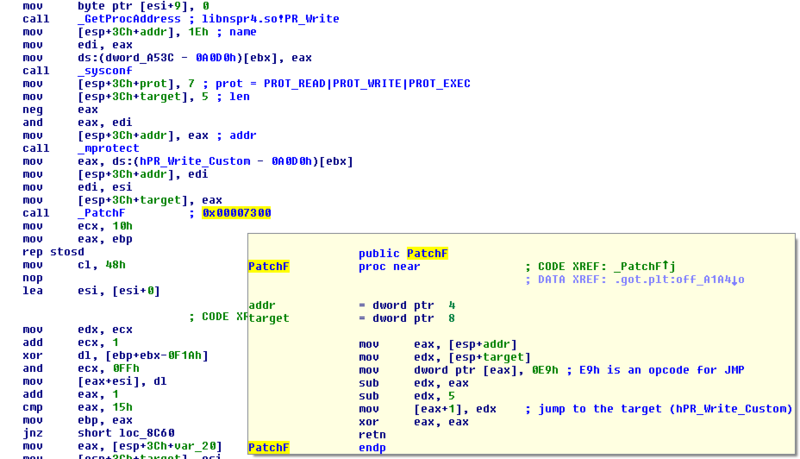 With the level of overall sophistication Hand of Thief displays, it can be compared to infamous non-Windows threats such as the FlashBack Trojan for MacOsX platform discovered last year or Trojan Obad for Android from recent times. Running the program on a native Linux system with parameter "-v" displays the version info "0.1.0.7". The dropper is obfuscated with the UPX packer so the executable is not available for a static analysis. We make it so by applying the original UPX program with parameter -d on a sole dropper part of the initial binary. The readability of almost all character strings is hardened by a XOR encryption with a varying 8-bit key. This is a very common property shared both among Windows and non-Windows Trojans. The presence of any of these signs leads to an early end of execution. 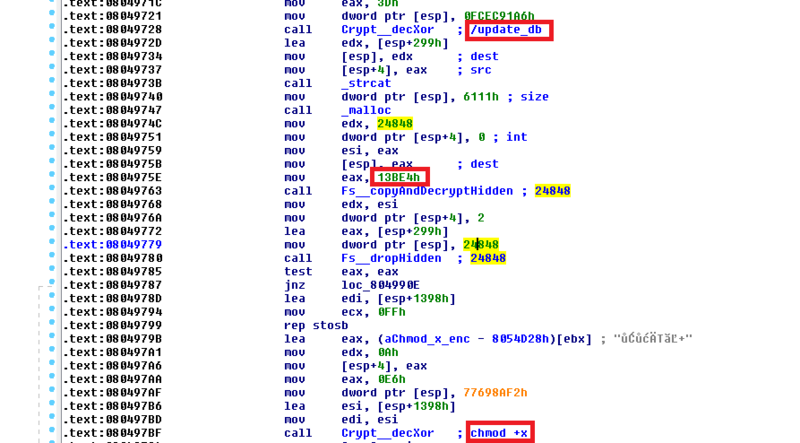 The Trojan also exits if the root directory is chrooted by comparing particular lines in /proc/1/mountinfo and /proc/\<getpid()>/mountinfo. Chrooting is basically a security feature where a running process does not have access to the root directory but to another branch of a file system tree that acts as one. The shared object is injected in every process whose name does not contain substring gnome-session, dbus or pulseaudio. The injection is performed with a method similar to the one described on Blackhat 2001 by Shaun Clowes. The reimplementation is available on github. The shared object starts two threads. The first one is called aaa, and it listens to a command from C&C to execute an action: bc command triggers BackConnect daemon called p0stfix serves as a reverse shell with a victim connecting to a particular socket; bind command starts BindPort daemon called unix-daemon acting as a bind shell with an attacker receiving the content of an output of a shell (after the correct authentication); socks executes a proxy via custom implementation of SOCKS5 protocol. All these features are realized through embedded perl scripts. Another commands with names d_exec and update, and they would try an execution of newly downloaded files from a C&C server. The Linux operating system is designed to have high level of security. However, this year a few attempts to attack Web servers by backdoors redirecting traffic or malicious apache modules have been discovered. The aim of this Trojan is to compromise user desktop systems. With features designed to abuse sensitive browser information, it could advance Linux users a step forward in this specific environment. The same threatening environment in which Windows users have existed for years. The statement that the Linux platform is absolutely secure now seems even more illusive. Thanks goes to my colleague, Pavel Šrámek, for discussions about the Linux platform. Add your comments here, or read what others have to say on the AVAST Facebook page.